Hey, you. We're going to take a wild guess here. You want to have guests over but rarely find the time to do so. There's so much planning involved and you're always short of time. Cleaning, cooking, making sure your kids are in order (or child-proofing your home if you don't have kids), ugh. It almost feels like a chore. "I'll be inviting you guys over soon, I promise!" you say every few months. Sound familiar? 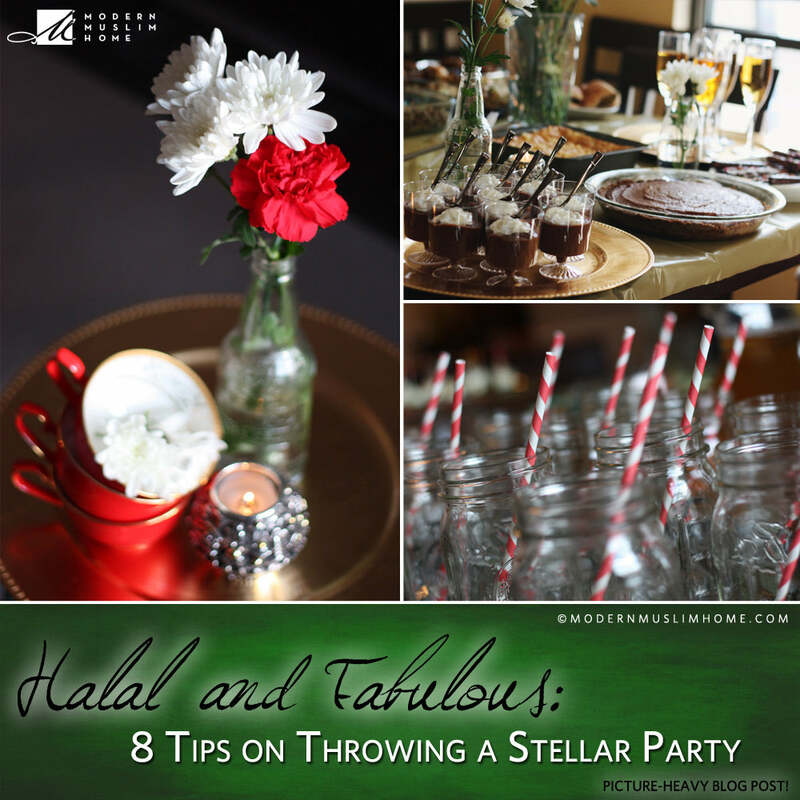 Throwing a halal, fun get-together doesn't have to be complicated. 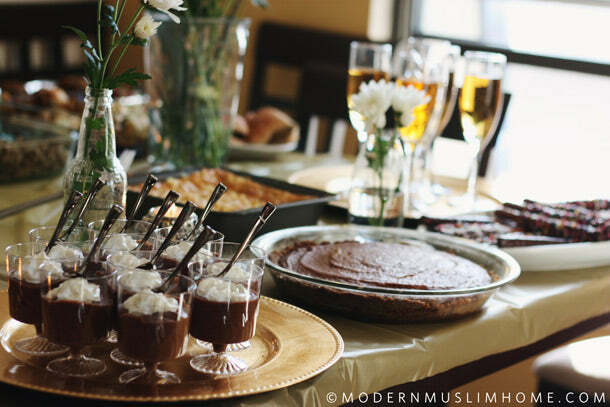 Here are some of Modern Muslim Home's tips on throwing a stellar party in a stress-free way. Keep them in mind next time you want to invite people over and we promise you'll be entertaining a lot more often. 1. Pick a date. Life is busy. Days, weeks, and months pass by with a blink of an eye. There will never be a perfect time so if you really want to have friends over, just pick a date. As long as it's a few weeks in advance, you'll be just fine. 2. Let your guests know what to expect. It's your party, you get to set the mood for it. If you want to have a fancier get-together, let your friends know that they can get dressed up. Want to have a casual potluck? Let them know too. 3. Plan a menu. Are you having a girls' brunch? A couples' dinner? 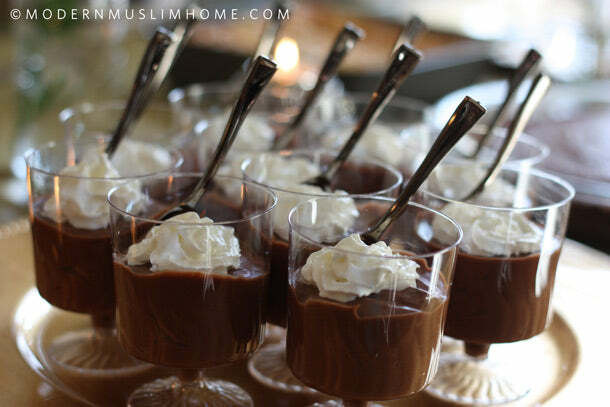 Choose a few dishes that you feel comfortable making as the main course and for dessert. 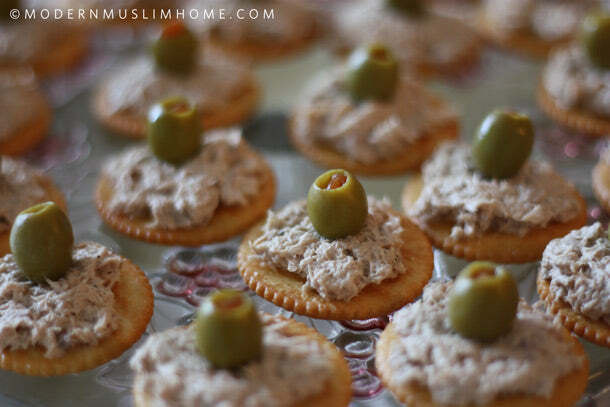 Maybe even pick a couple of things you can serve as appetizers if some of your friends tend to run later than others. The main thing you want to do here is make a menu list in advance. This way you can easily decide what dishes go well with others and which ones you might be able to make a day or so before the party so you're not stressing the day of. Make sure you have some veggie options if any of your friends are vegetarian and be sure to buy dhabiha meat if you don't already. Make a list of the groceries you'll need for each dish, and plan out what you'll be making on what day or at what time. This will ensure that you're on top of your game and mentally prepared days or even weeks before your party. 4. Make your food pretty. If you don't invite people over that often, you might as well go all out when you do. Make it a party to remember. For us, it's all about the little details. And the best part? It's so easy to do! 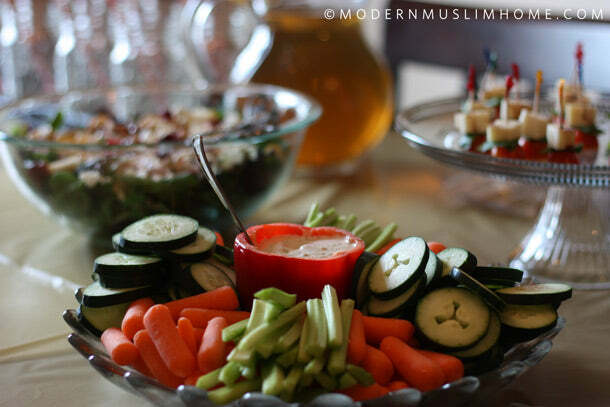 When you're making your menu in step 2, include some dishes that are visually appealing. If you're serving veggies with dip, why not serve the dip in a large bell pepper instead of a regular bowl? 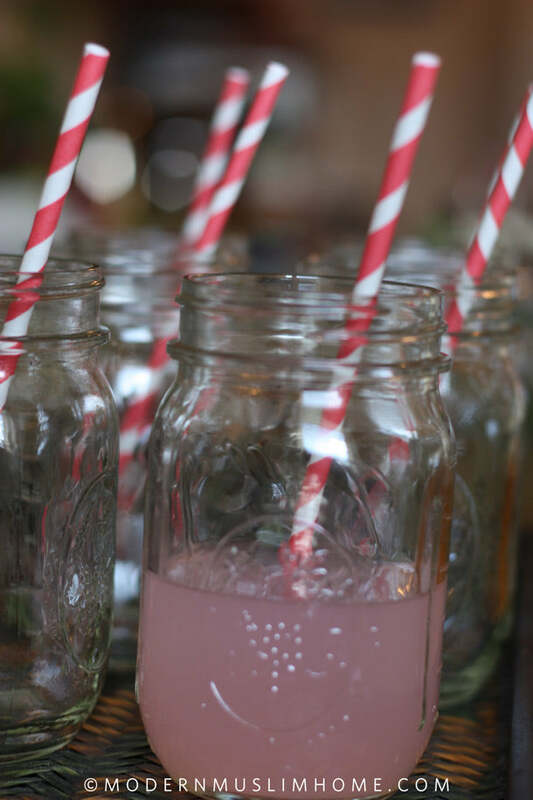 While you're at it, do something different like serving drinks in little mason jars with cute striped straws instead of your usual plastic cups. Affordable and super fun. 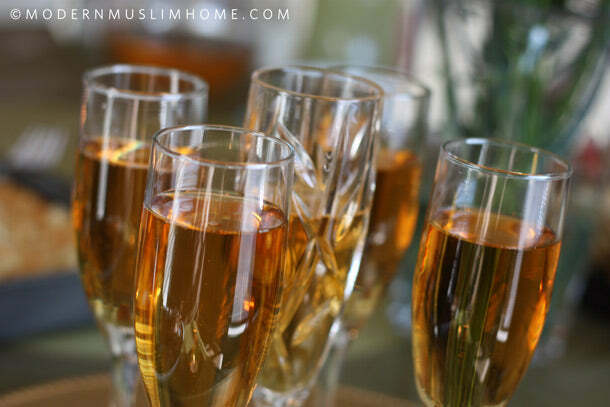 How about some sparkling cider in fancy glasses? Mini foods are really in style too. 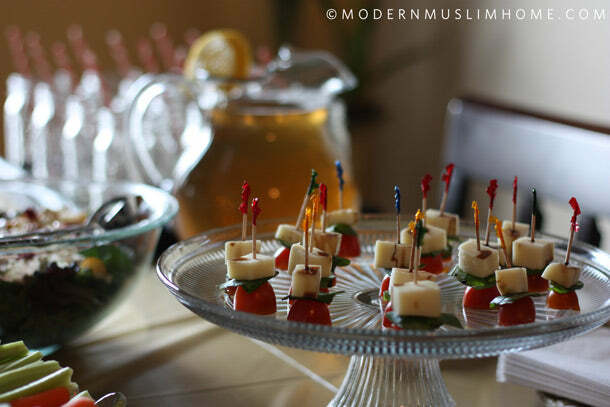 With almost no effort, you can change an ordinary dish into a WOW dish just by making mini versions of it (some examples: mozzarella-basil-tomato skewers or tuna salad crackers as appetizers, chocolate mousse in mini cups instead of a large bowl, etc). Check out some of our photos below! 5. Take it up a notch. Now that you know you'll have a few eye-catching food items, don't forget the decor. If this is an adult party, we're not talking about colorful balloons. We're talking about decor that's cute, classy, and elegant (just like you). Grab a few tealight candles and a bouquet or two of flowers. Pick out a few flowers from your main bouquet and spread them around your home using smaller vases. Don't have small vases? 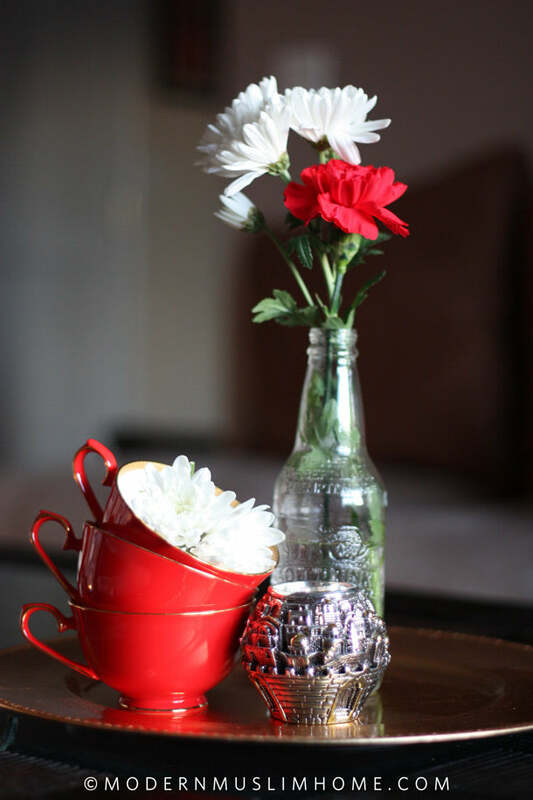 Look around your house and we bet you'll find something fun to use as a vase (a glass coke bottle, a mason jar, a drinking glass, a teacup). 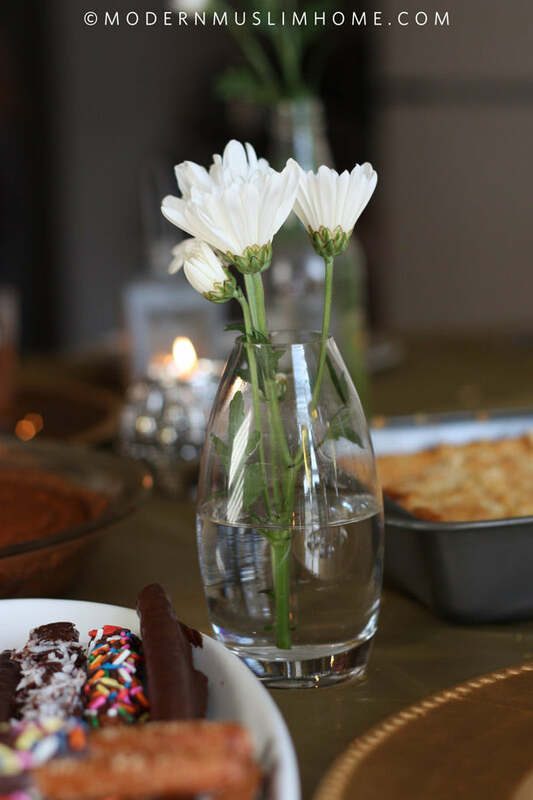 Put in 2-4 flowers from your bouquet into the mini vase(s) and place them around the dining table or on your coffee table with a few candles; we promise people will be oohing and aahing over how cute they look. Flowers and candles are super affordable and will transform your get-together from eh to gorg! without being tacky. 6. Plan for an activity/party favor. If you really want your guests to remember your party, plan to give them something fun and useful they can take home with them. This tip is more for a formal party than a casual get-together, but we're all for giving gifts, regardless of the occasion. 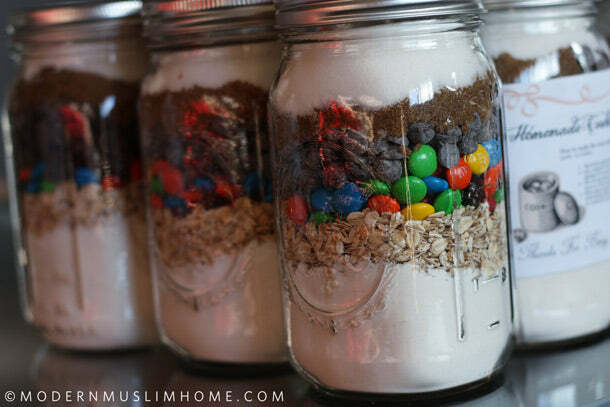 You can make something on your own beforehand (how about homemade cookie mix in mason jars?) 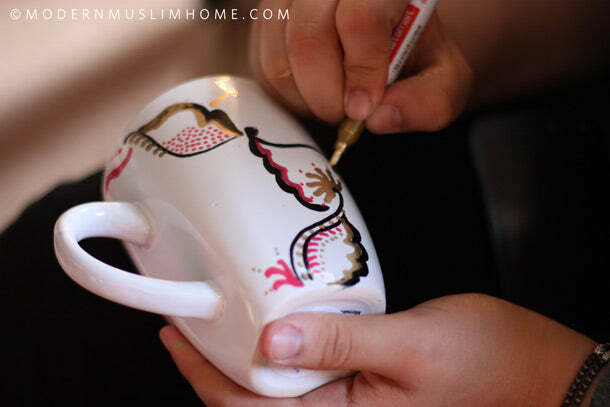 or plan a DIY activity so that your guests can create something fun for themselves during the party (DIY personalized coffee mugs, anyone?). See our photos below for examples! 7. Prepare in advance. So, your party is a week away! You have lots to do and because you're so good at this, you're going to spread out your tasks throughout the week and not do everything the day before. This ensures a calm you and a smooth-as-ever party. 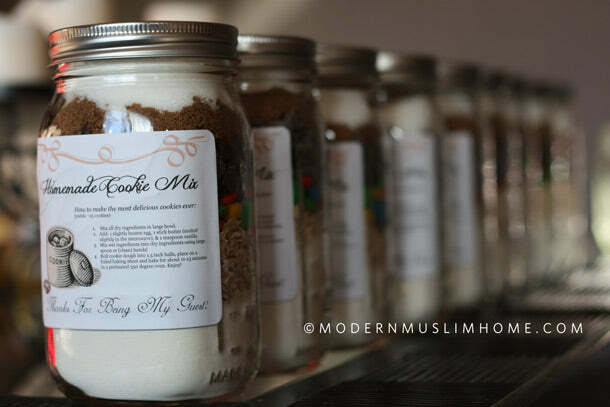 Party favors can be made a week (or more) before the big day. Deep clean your home 4-5 days beforehand so you'll just need to pick up surface items the night before. Buy your groceries and decor 2-3 days before the get-together. If you can cook anything 1-2 days in advance, do it! There's no shame in that and it will let you focus on the last minute food items the day of. 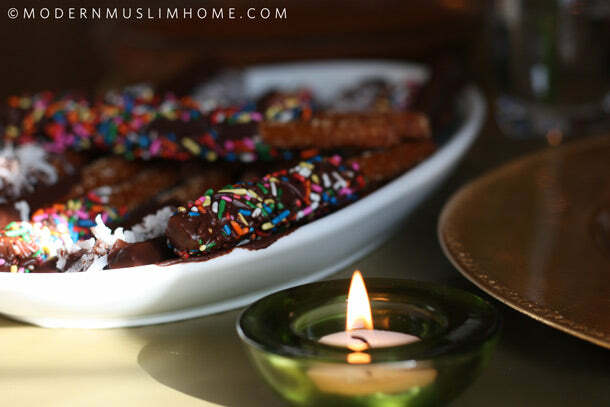 Lastly, choose what you're going to serve all your dishes in the night before and set your table exactly how you want your serving dishes placed, along with all plates, glasses, and utensils. This will ensure that you will go to bed calm, relaxed, and satisfied. 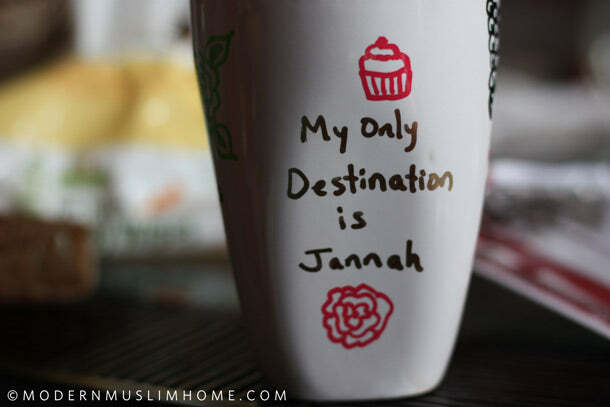 Alhamdulillah, everything is under control. 8. Be a rockin' hostess. Now, the party favors are made, you've cooked almost everything, the house is clean, the table is set. Pick out something nice to wear and put it on close to invite time. As guests start to arrive, don't worry if you're still getting things on the table; they will mingle among themselves. Once the party gets going, just make sure to make your rounds so that you get some personal time with each of your guests. Smile and relax. You are pretty darn awesome at this. Here are some photos from a party we threw. Enjoy! Enjoyed this post? For other fun, inspirational ideas for your home and family, like us on Facebook, follow us on Pinterest, and sign up for emails below. We won't spam your inbox, promise! 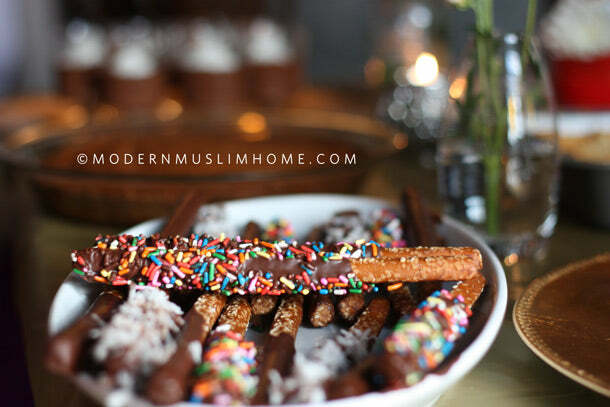 Modern Muslim Home sells high quality home decor, that is made especially with you in mind. Modern, beautiful, and in English, so you and your family can truly benefit.